A specially formulated micro-emulsion for cleaning reflow ovens and wave solder machines, Reflow Oven Cleaner is designed to remove all types of flux residues. 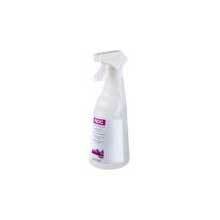 The cleaner is also suitable for many general degreasing applications. Regular use of Reflow Oven Cleaner will prevent build up of condensed flux residues inside reflow ovens and wave solder machines. This helps to maintain the efficient running of the equipment and avoid contaminating PCBs with precipitated residues. The cleaner contains inhibitors to prevent corrosion to both ferrous and non-ferrous metals and is compatible with most plastics.